VIVO Pro Kabaddi, India’s biggest non-cricket sports league, concluded the Season 6 Player Auctions on a historic note. 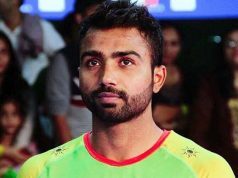 Monu Goyat shattered all records in the Kabaddi ecosystem netting a spectacular 1.51 crores, becoming the highest payed non-cricket sportsman in Kabaddi history. 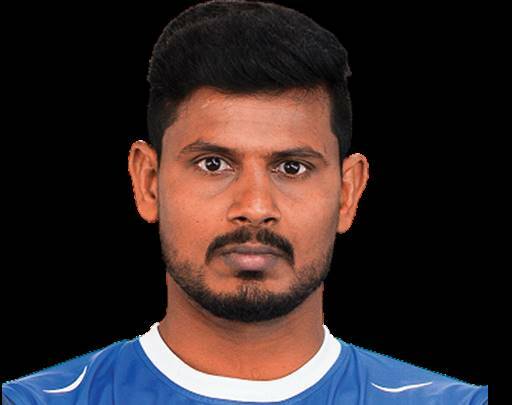 Among the foreign players, it was Fazel Atrachali who had the highest pay day after netting a whopping 1 crore sum. 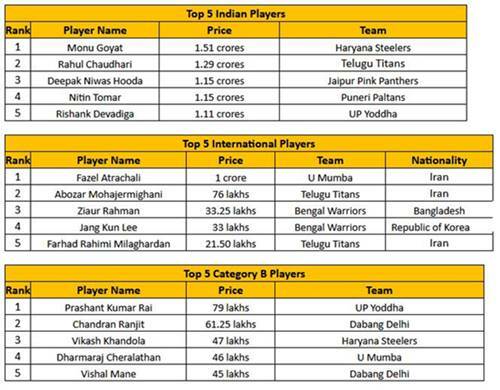 Other Star Marquee Players like Rahul Chaudhari who was retained by Telugu Titans via FBM for 1.29 crores, Deepak Niwas Hooda who was bought by Jaipur Pink Panthers for 1.15 crores and Nitin Tomar who was bought by Puneri Paltans for 1.15 crores were critical acquisitions in the auction. At the end, a total of INR ABC was spent on 422 players, a huge jump from the season 5 auctions. While Day 1 was dominated by Category-A stars, Day 2 saw the franchises strategically planning to construct the perfect balance between experienced and young players, to craft winning teams. On Day 2 of the auction, Indian players from Category B, C and D, went under the hammer. Prashant Kumar Rai secured the highest bid on Day 2 acquired by Team U.P Yoddhas, for an amount of INR 79 Lakhs.